The proposed Yonge subway extension cleared a major hurdle this week. The project’s completed environmental assessment was filed with the province’s Environment Ministry Monday after being approved last month by Environment Minister John Gerretsen. It’s all over but the waiting. 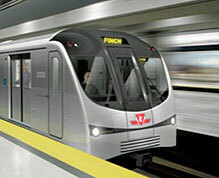 Thornhill MP Peter Kent, a proponent of extending the Yonge subway into Richmond Hill, submitted the project as worthy of some of the billions in infrastructure dollars pledged in last month’s federal budget. 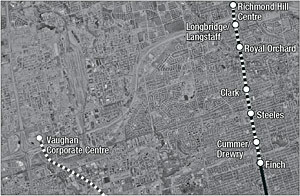 The problem for subway trainspotters north of Steeles Ave. now, however, is competition for those dollars from across the country. The City of Toronto signalled its conditional support for the Yonge St. subway extension Monday, giving the project an important shot in the arm. With York Region leading the push, the province’s announcement of its intent to back the initiative in its $17.5-billion Move Ontario 2020 plan and Metrolinx naming the extension as a priority, only Toronto’s endorsement was conspicuously absent. Until now. 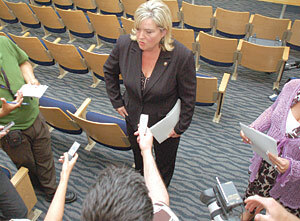 The political turmoil on Parliament Hill isn’t likely to derail the Yonge St. subway extension, transit officials say. Instead, federal dollars may flow, helping the project down the line to completion, YRT vice-president Mary-Frances Turner said Wednesday. 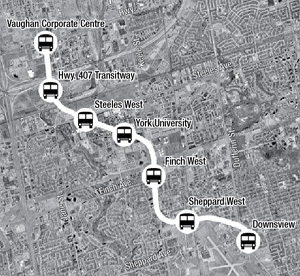 Vaughan has come out a big winner in Metrolinx’s massive $50-billion, 25-year transit vision for the Greater Golden Horseshoe, city councillors agree. Preliminary work on the $2.1-billion Yonge St. subway extension plan is moving quickly and York Region Rapid Transit is wasting no time in jumping to the next phase. The ceremonial first shovelfuls of earth signalling the start of major construction on the Spadina subway extension are expected in late September, officials say. A subway car heading north to Richmond Hill is crowded with enthusiastic transit boosters and steered by a new group of conductors. 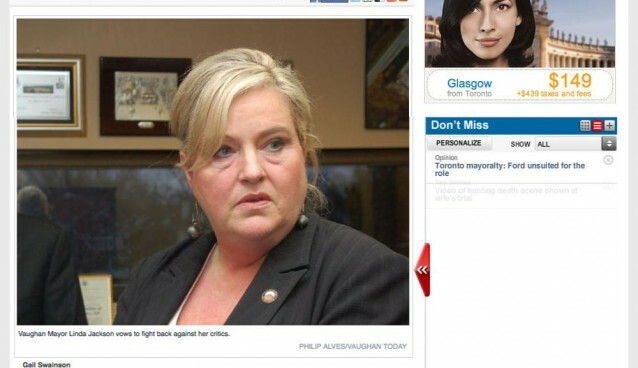 Transport Canada and TTC officials aren’t quite sure what all the hubbub is about. Though the two organizations insist things on the Spadina subway extension are rolling along nicely, they are each being blamed by some political observers for an apparent lack of progress. Subway trainspotters waiting for shovels to break ground on the Spadina extension into Vaughan are widely condemning the recent federal budget. 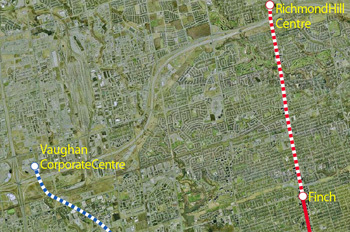 The price tag for the proposed Yonge subway extension into Richmond Hill is estimated to be between $1.5 billion and $2.1 billion, according to a new York Region Rapid Transit Corporation report.